Coreisa trying her new Powell Conservatory. Photo courtesy of NBCUniversal/ "The Meredith Vieira Show." Last Friday, Coreisa Janelle Lee experienced many surprises -- including the gift of a new flute -- on national television! 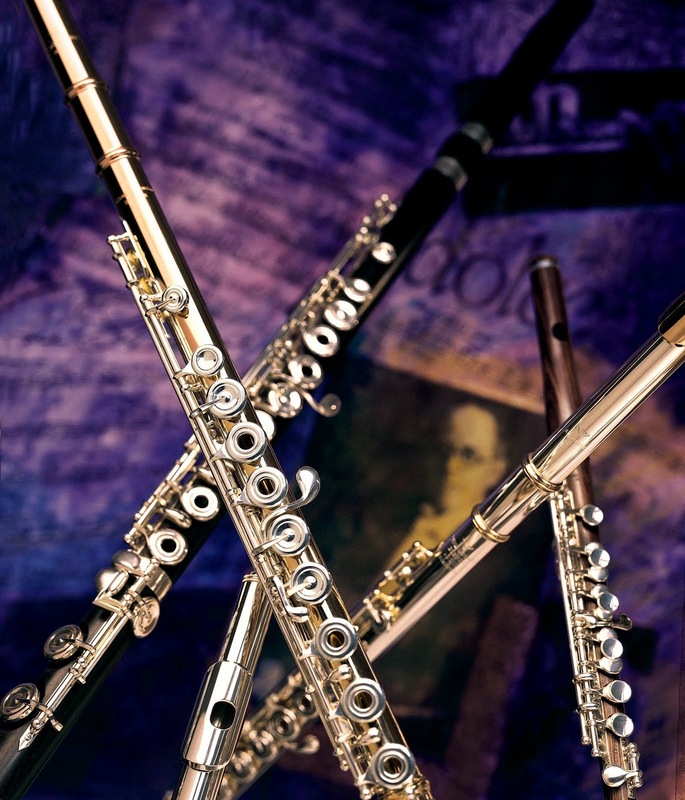 Ms. Lee is a sophomore at the Manhattan School of Music and had dreamed of owning a Powell Handmade Conservatory Aurumite® 9k flute. Coreisa had been playing the same student flute since the 8th grade, and ownership of a Powell seemed like a mere dream given her economic circumstances. Conservatory built to her exact specifications. It was a bit tricky to get the specs from her without spoiling the surprise, but with the help of the show's producers who were in contact with Coreisa, we got them! The flute was made and hand-carried to the show's producers at NBC Studios in Rockefeller Center just a few days before the taping. My new Powell Aurumite Conservatory Flute, which I have yet to name - some say name it Meredith, some say name it Ferrari because my last flute was named Mercedes. I'm not sure. - it's one of a kind. I have tried many flutes but never felt as natural as I feel when I'm playing the one that I received from Powell on the Meredith Vieira Show. I can not seem to stop playing on it. It just makes me so very happy! On October 6th, I will be performing at the Harmonie Club here in New York City. For that performance I will be playing Benjamin Godard's "Valse" from his Suite of Three Pieces. In this piece there are moments where I have to play scalar runs starting from the low register all the way to the high third register. When ever I get to these moments, I get this sense of soaring. It really feels as if I'm playing on two flutes - feeling the warmth of a gold flute, while having the brilliance of a silver flute - this flute is amazing! The low register is very warm and so well spoken, while the high register makes me feel as if I am Anna Netrebko beautifully/brilliantly singing my high notes. Gosh, it's just a wonderful flute! You know, I think I will name my flute Cadence because a cadence is a very important/special moment in a classical piece of music. It is the most highlighted part of a phrase as well as the most important because it establishes the key. This makes me think of how I acquired my new flute. 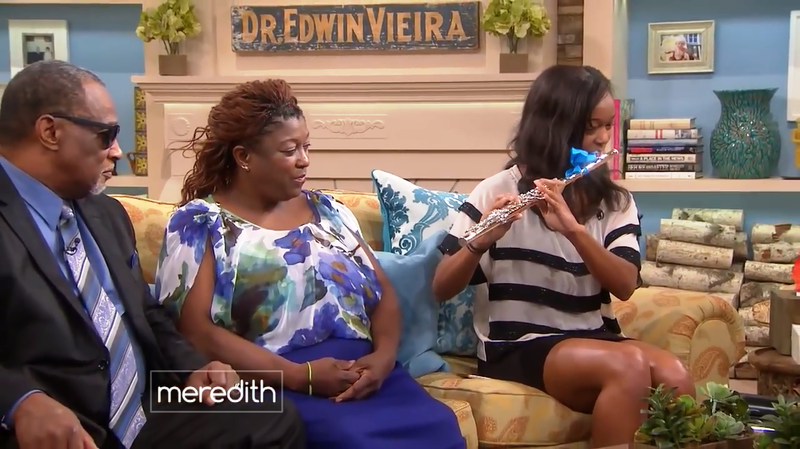 Being surprised by coming on The Meredith Vieira Show and receiving an amazing flute will forever be a special moment in my life. It will also be the most important moment because I feel unstoppable. I just established myself as an aspiring professional musician and that is what I will be! Every time I play "Cadence" I will be filled with so much joy! Thank you so much Powell for working alongside Meredith Vieira and giving me the flute of my dreams!